← It all depends on how you look at it. This week’s lesson with Katie and Varya started off with some drawing exercises. I would show them a figure and they had to draw it without lifting the pencil from the paper and without going over any line twice. 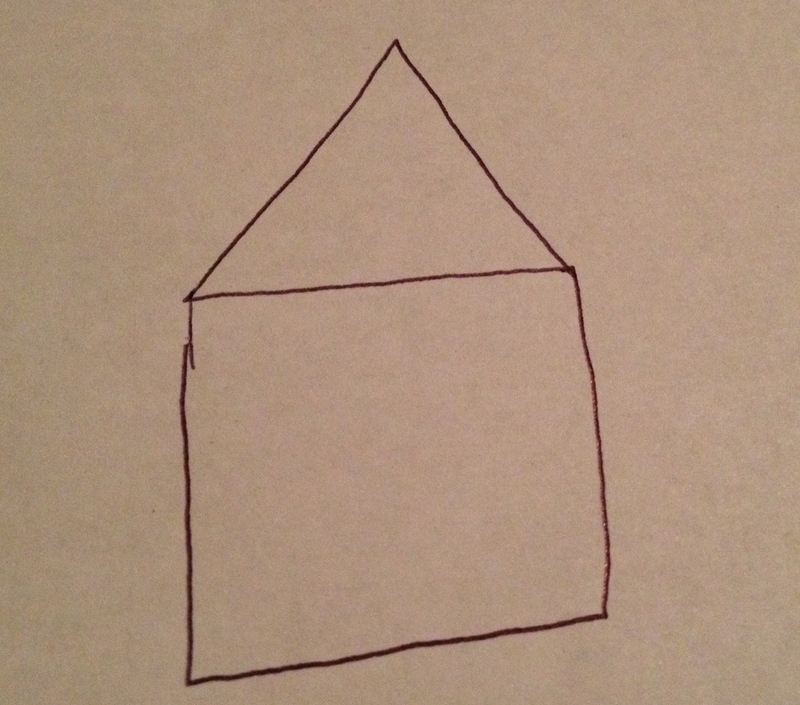 The first figure I asked them to draw was a square. I thought this to be fairly trivial, but it actually took the girls three tries each to get it right. I guess it took them some time to figure out exactly what was asked of them and then to get used to the idea. 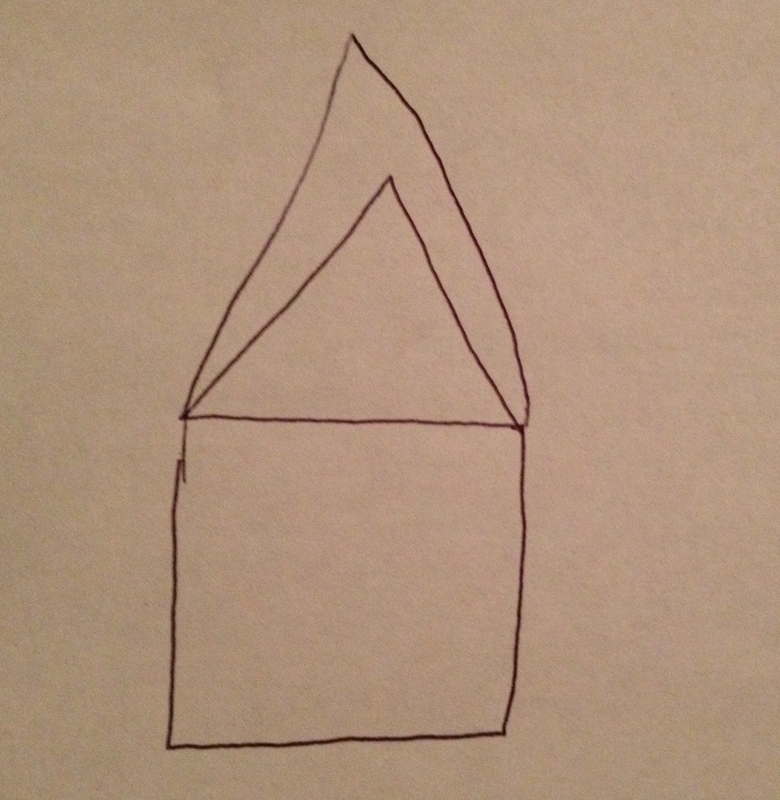 The second figure, a house, they both drew perfectly on the first try. A house with two roofs didn’t pose any difficulties either and caused much amusement. The envelope took them many tries and some help to master. The problem was that they like to draw their rectangles starting from the top (which was why the house was so easy), but with this figure you have to start at the bottom for it to work out. Try it for yourself! In order not to have them get too frustrated when they got stuck, I’d tell them that they can draw the flap of the envelope on the bottom or on the side, but then should try again to get it on the top. Not all figures can be drawn in this way. A basic theorem in graph theory tells exactly when it is possible. If one thinks of the figure as consisting of a number of line segments (or curves) that meet at various points then the key is to look at how many segments meet at any given point. 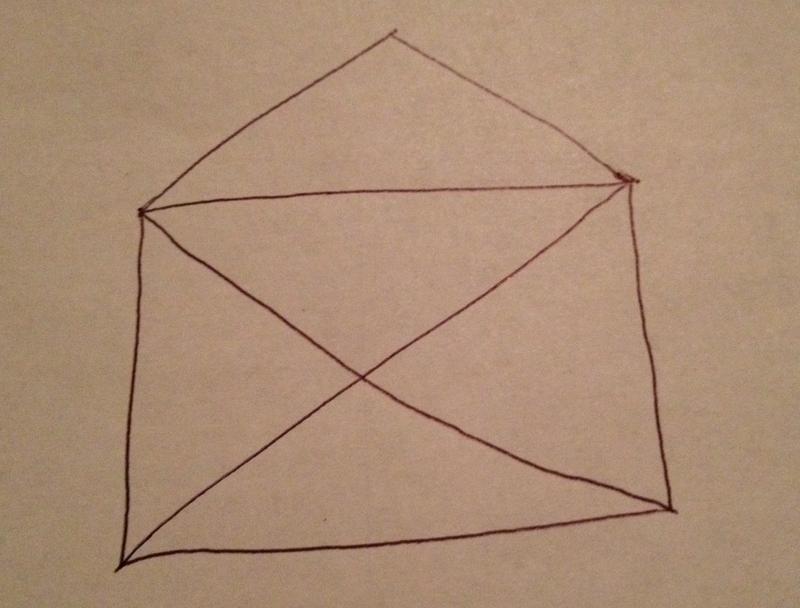 A drawing without the lifting of a pencil is possible if and only if either an even number of segments meet at every point or if there are exactly two points with an odd number of segments. In fact, if a figure contains no “odd” points then the drawing is possible regardless of where one starts and one will always end at the starting point. If, on the other hand, there are two odd points, then one needs to start in one of them and end in the other. I did not try to explain any of this to the girls; it was enough of a challenge to just do the drawing. Once they get good at drawing the feasible ones, though, I might try to trick them with an impossible one :-). 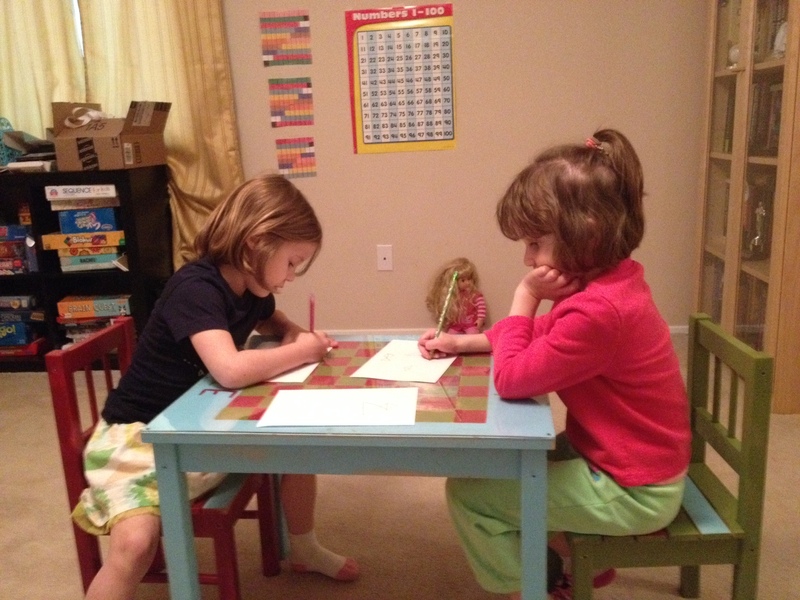 This entry was posted in Uncategorized and tagged 5 years old, drawing, fun math, graph theory, lesson, parity. Bookmark the permalink.